A beautiful story, full of love and families and friendships, but also betrayal, death, grief. 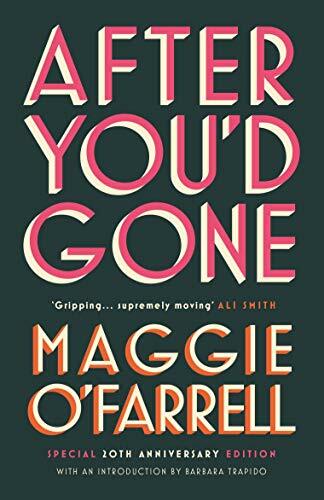 Maggie O'Farrell writes beautifully! The story concerns Alice who visits her sisters in Scotland, but then minutes later see something, and flees back to London, where she is run over. The story continues around her, as she lives in a coma, and we spend the book trying to figure out what caused her to run back home. a good re-read at the end of 2009!